If there's one thing we know, it's this: happiness comes in waves. And that's why you'll find yourself surrounded by ocean-inspired photography and art installations, at every inch of the hotel. We have a rotating program featuring local artists, to help give you a flavor of the islands. It's called TOMA - the Terrace of Modern Art - and it's held monthly on our pool deck. Stay tuned for the latest and greatest on our next TOMA event. 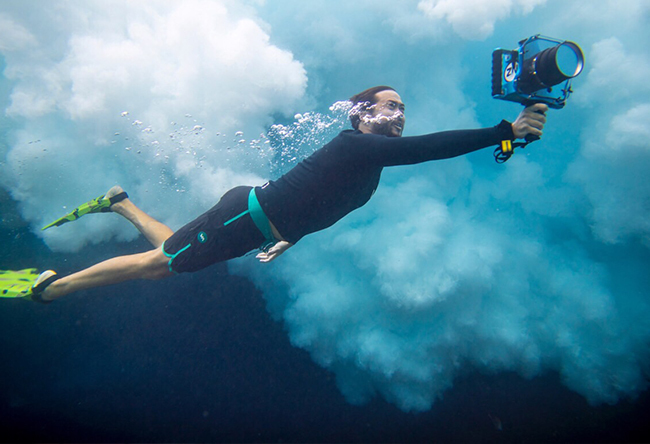 You'll also love our talk-story series to our aqua-photography sessions with @ZakNoyle, whose underwater photography is found throughout the hotel.